So this is me, working hard in my studio. Here is where you will find a regular sneak-peek at the things I am working on. I will try to update every week and an archive of old posts can be found on my blog’s archive. Directly below is where you will find this week’s new preview. You can scroll down to see what last week’s item turned out like. Come back next week (or sign up for my newsletter) for more updates. 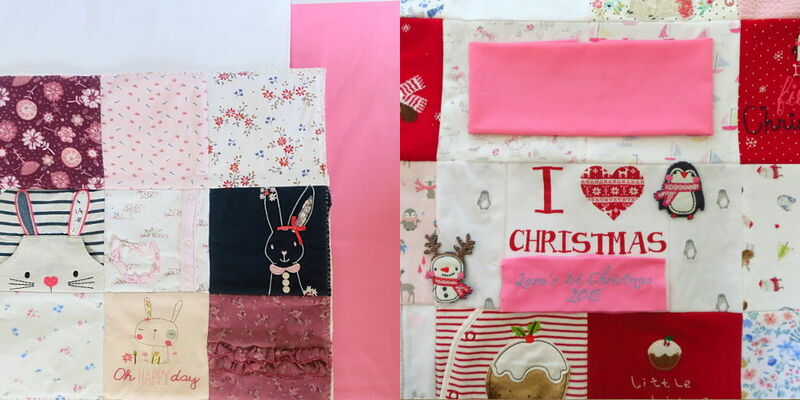 Over the last few weeks I’ve received a number of orders for memory blankets or cushions and today some of the packages of clothes arrived. 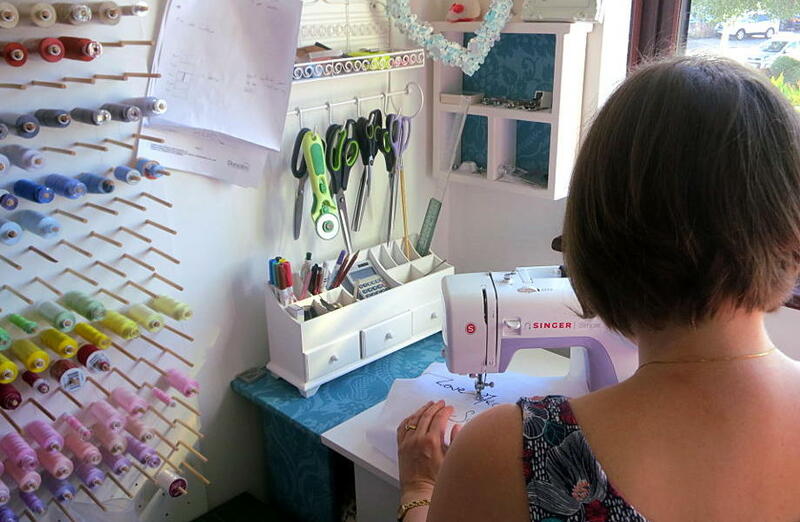 I got straight to work cutting fabric and organising squares of material for my customers to have their say and agree final designs. Last week I was making a bereavement gift for a customer’s mother-in-law. 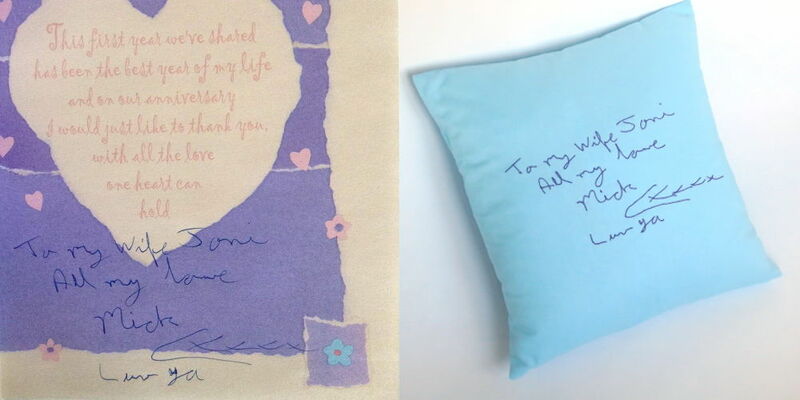 I was sent some handwriting from a greetings card and created a beautiful memorial pillow.